Ganno is a pre-mix of Fipronil 40% and Imidacloprid 40% (a.i.) as a water dispersible granule in the formulation. It is an unique combination product with dual action against pest. Ganno is suitable to control problems of white grub in Sugarcane. The active ingredient Fipronil is toxic after ingestion with some contact action and acts by interfere the transmission of nerve impulse. Another active of Ganno, Imidacloprid disturbs the signal transmission and leading finally the death of the treated insects. Ganno show elongated persistence with excellent control. Ganno shown definite effect on plant growth, resulting with better yield. 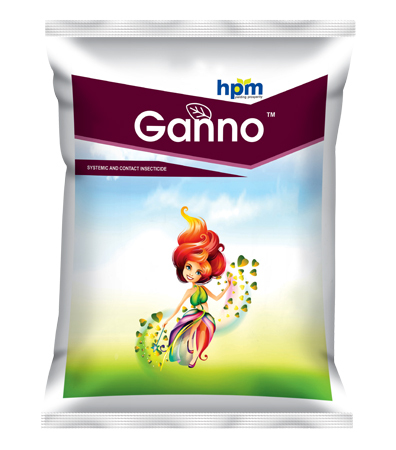 Ganno is available in the pack sizes of 40gm, 100gm and 250g. Fipronil disrupts the insect central nervous system by blocking GABA-gated chloride channels and glutamate-gated chloride (GluCl) channels. It acts as a potent blocker of the GABA-regulated chloride channel. 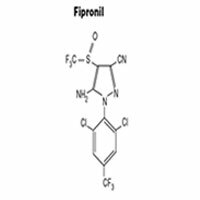 Fipronil is a broad-spectrum insecticide that belongs to the phenyl pyrazole chemical family. 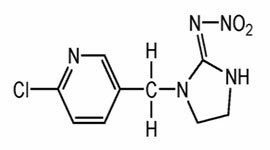 Imidacloprid acts as an antagonist by binding to postsynaptic nicotinic receptors in the insect central nervous system. Fipronil is broad-spectrum insecticide, toxic by contact and ingestion. Imidacloprid is systemic insecticide with translaminar activity and with contact and stomach action. It is a pre-mix of Fipronil 40% and Imidacloprid 40% (a.i.) as a water dispersible granule in the formulation. It is suitable to control problems of white grub in Sugarcane. 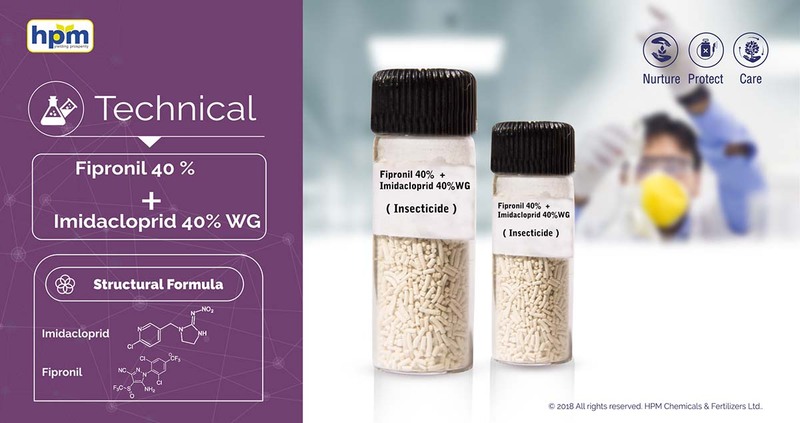 Another active of it, Imidacloprid disturbs the signal transmission and leading finally the death of the treated insects. It shows elongated persistence with excellent control. It shown definite effect on plant growth, resulting with better yield.